However, Huawei insists it did no such thing. 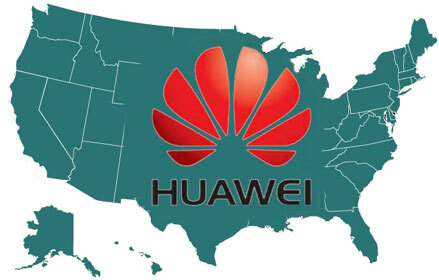 Although political barriers still make it hard for Huawei to land a significant network deployment with a major U.S. operator, the vendor continues to target smaller rural carriers in a variety of infrastructure areas, including the radio access network (RAN). In fact, Huawei already has U.S. mobile operators as customers of its RAN gear, including Nemont (the Northeastern Montana Telephone Cooperative Association), United Wireless and Union Wireless. Since these networks are small and in sparsely populated areas, they generally avoid the kind of national security concerns that influence Tier 1 operators’ vendor selections. So, targeting them makes sense for Huawei; even if it’s not very lucrative, it’s a way to demonstrate that the fears surrounding its participation in the American market are unfounded. There are a lot of rural carriers in America, so there are a lot of chances to win deals, and those chances may be improved by the fact that major RAN vendors usually aren’t as aggressive in chasing these smaller operators. Bottom line: it’s a foot in the door of the U.S. infrastructure market that poses at least the theoretical possibility of future expansion. So, it’s not surprising that Huawei continues to actively pursue this market, as evidenced by, for example, the vendor’s pitch to the crowd at the Competitive Carriers Association’s Global Expo in San Antonio, Texas last month (the site of the famed Alamo!). It’s perhaps ironic that Huawei’s Patrick Kaiser, in giving that pitch, suggested operators pool their resources in order to succeed. Rural U.S. operators are working to pool resources, though in some ways that work against Huawei’s ambitions in this space. Namely, at the same CCA event, Sprint announced an agreement with the NetAmerica Alliance (a group of rural telecom service providers) wherein Sprint will allow the Alliance’s members to build LTE networks using Sprint spectrum for the purposes of mutual roaming. The initiative is similar to one Verizon announced in late 2012. It’s a way for each operator to essentially expand its LTE footprint for subscribers. The problem for Huawei is: To participate in these programs, rural operators must build their LTE networks using equipment from vendors chosen by their larger partners. To participate in NetAmerica’s program, operators must use its chosen vendor: Ericsson. To partner with Verizon Wireless, they must use one of Verizon’s chosen RAN vendors: Alcatel-Lucent or Ericsson. While it’s not known how many operators will try to participate in these programs, Verizon’s program claims, as of last month, some 20 operators signed up in a little over a year. With this latest hurdle thrown in, will Huawei executives once again tell the press that they’ve lost interest in the U.S. market? We’ll see. If they do, however, be skeptical. And remember the Alamo. Previous postHuawei 2013 Annual Report: Does the Company’s Growth Engine Need Some GAS?